So this is more of a commentary than the semi-comprehensive list I did for the first part. From time-to-time, someone from my generation laments that the current generation doesn't know the joy of Saturday morning cartoons. And I agree, their lives are so empty, trying to fill that void with four nickelodeons, two cartoon networks, a third disney channel launching in 2012, ABC Family, The Hub, streaming video, Redboxes on every corner, and a staggering number of animated movies. Picking up where I left off yesterday, there was always seemed to be at least a couple of top-notch animated movies coming out each year throughout the nineties... and for the record... my all-time favorite animated film is Lilo and Stitch: aliens, a cute fuzzy construct of destruction, Hawaii, angst, Michael Duncan Clake, "family", Elvis... it's a bizarre mix of concepts with something for everyone. Not a bad movie in the bunch... Shrek redeemed itself after that horrible third movie. I'm not sure who that people would get fired up about a movie about owls, but there it is, and it's worth your time. And Twisted is simply one of Disney's greatest. I only rank Lilo and Stitch, Lion King, and Beauty and the Beast above it. And Beauty only wins by the narrowest of margins because of the music. 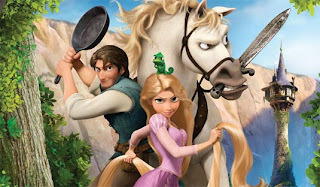 I liked the narrative in Tangled just a little better. You may have mixed opinions on individual movies on this list, but how can you look at it and disagree that it was the greatest year ever? I know I'm not the first to say that animated put live action to shame last year, and I'll even go so far as to say this one year is better than the entire collective works of the seventies and eighties. The only thing really lacking is hard action like Transformers, but on that front you have solid direct-to-video superhero movies, while in the theatres, Transformers themselves have gone 'live action'... but seriously, I think CGI has really blurred the line in so many movies that 'live action' is a misleading phrase. And it's funny to think that just a few years ago we were lamenting the death of 2d animation. I suppose we had good reason; CGI animation was still pretty hit and miss. But I'm sure noone watching any of the above movies were wishing they'd been made in 2d instead. At this point, bad animation is no longer a limitation of the technology... it's just bad animation, and there's never been a shortage of that. Anyway, I had one simple point in making this series of posts: to show just how far we've come. I haven't seen any of 2011's movies yet... sad to say, however, that I don't think this year will surpass the last. But I have no doubt that 2010 represents a golden age in animation. 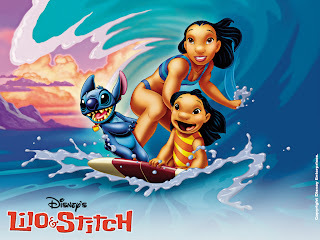 Th only films here I have seen are lilo and stitch and Toy Story 3! 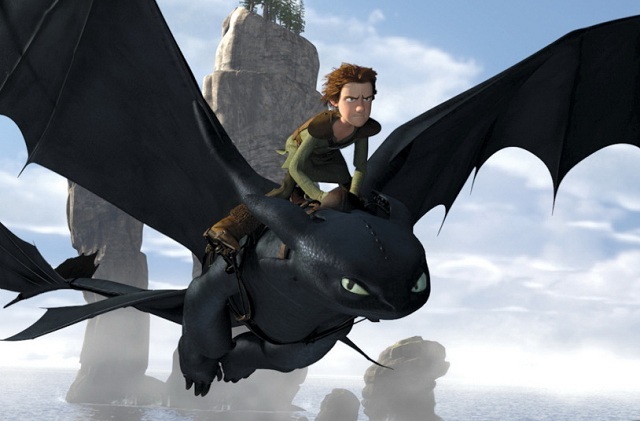 might have to check some others out :') how to tame your dragon looks good! Toy Story 3 definitely surprised me. I'm pretty embittered towards sequels, & I purposefully avoided seeing Toy Story 2, because I loved the original so much as a kid (I was 8 when it was released). I finally watched both with my son; he's only 16 months, but um... he still likes movies...? Nah, I just finally caved to all the positive reviews. And holy crap, I will admit it really touched my sequel-hating heart. I cried twice, like a big wuss, & completely bewildered my kid. Totally impressed with how Pixar finished the series, now if they just leave it at that, I'll always have the warm fuzzies for it. toy story 3 made me cry like a little girl. Tangled was so well done. I was surprised. Toy story 3 was indeed awesome. Man, Toy Story 3 was as good as the original, if not better. Great post, followed. All these CGI films have really taken away from the mastering of a good cartoon..
Just watched Tangled, & it gives me some hope for new Disney being as quality as the old movies.